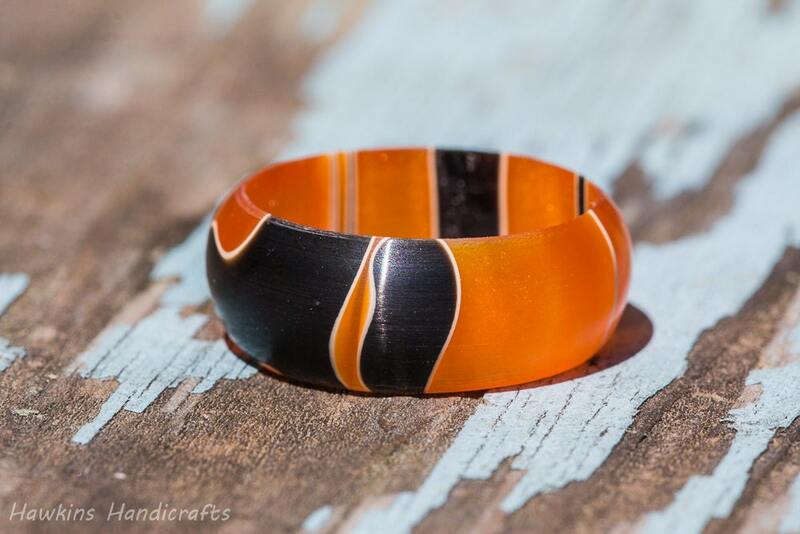 This is a hand-turned acrylic ring custom made to your specifications - choose the size, width, and shape from the options to create your own handmade ring! 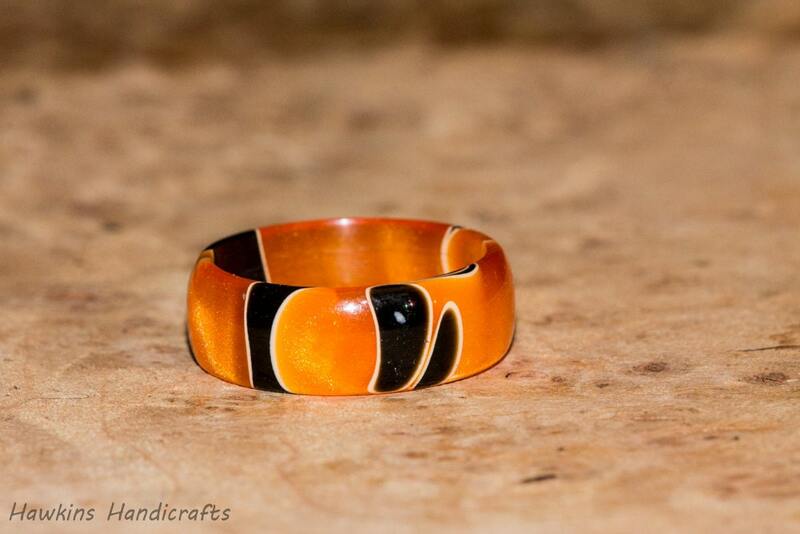 Your ring will have a similar look to those in the pictures - orange with black swirls and spots outlined in white - but each ring is a unique piece of wood with it's own unique patterning with no two exactly alike! "All Hallows" acrylic is made by layering orange, black, and white acrylic in a rippled fashion, creating a unique pattern within the finished block. 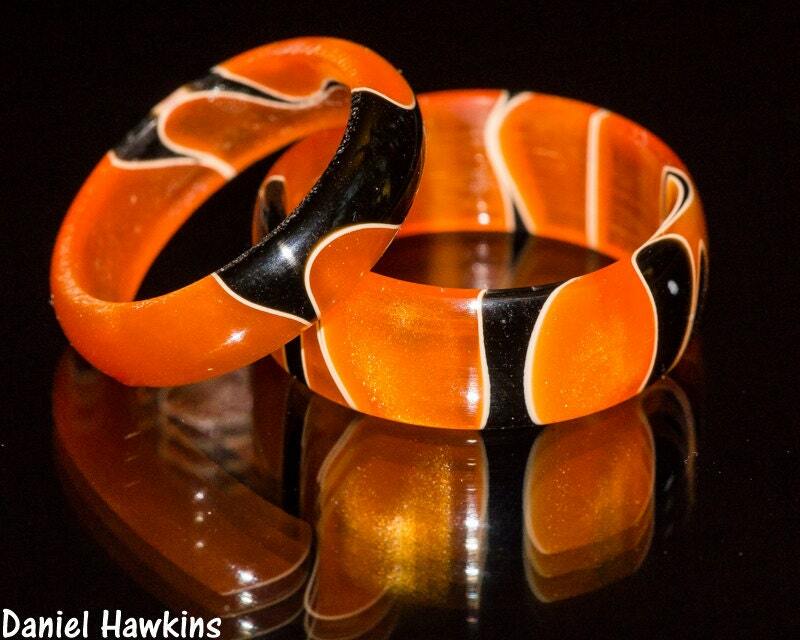 These rings are made by slicing a block of this acrylic, then hand-turning it. 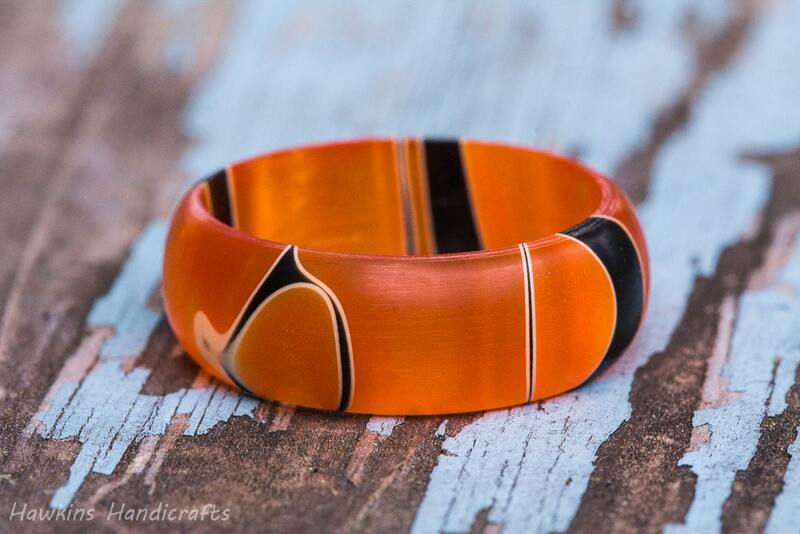 Each piece can vary greatly in pattern from rings cut even from the same block - some will contain more orange or more black, with patterns ranging from swirls, stripes, or spots to the occasional flame pattern - no two are ever alike, but they always have an interesting and eye-catching pattern. 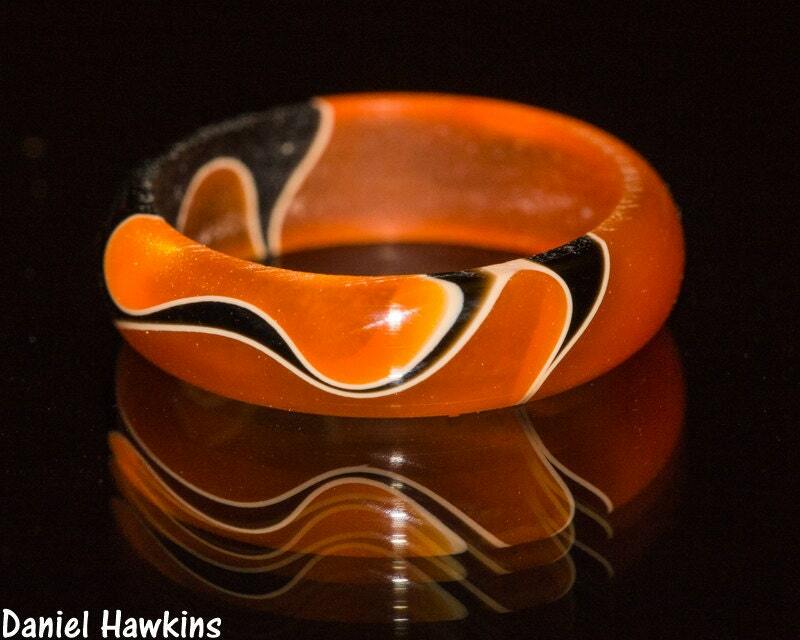 The orange is extremely vibrant, with a pearlescent finish that is translucent. The black and white areas are solid and glossy - a really neat contrast that creates a beautiful 3-dimensional effect in the ring. Perfect fit and finish. This is my 2nd ring due me needing a smaller size after weight loss. The first ring was still as perfect as the day I got it. Great work. Very nice ring color combinations. Owner customized this for us so we had no black and my fiancé loves it. It's amazing! He loved it and didn't want to stop wearing it! It's his wedding band, so he'll have to wait until 8/18/18. It fit perfectly! He's an electrician, so this ring is perfect for him. Thank you so much!